You’ll never have another good after-work Friday like this one! 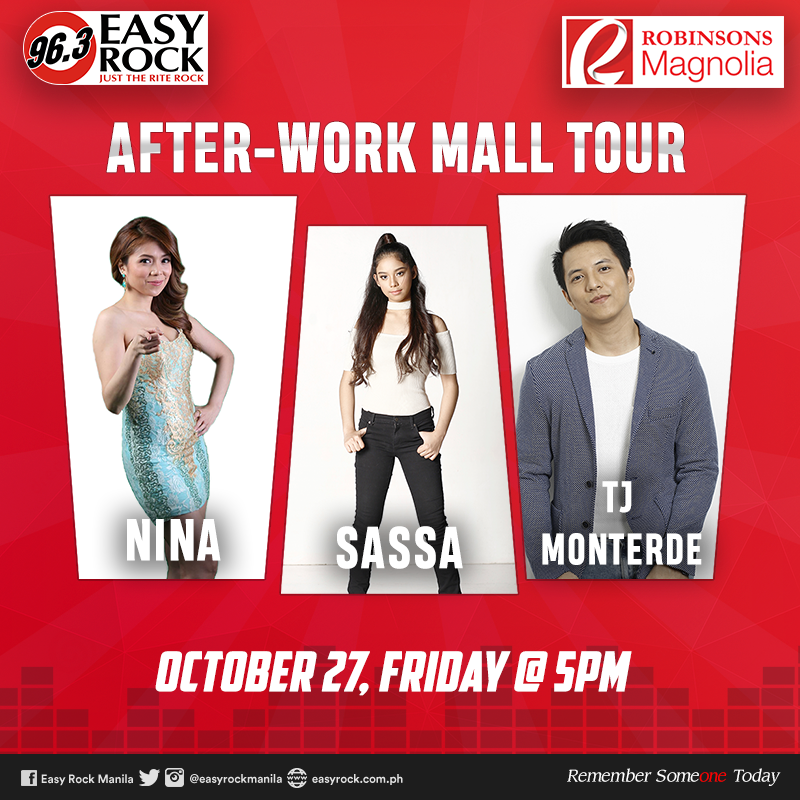 It’s gonna be back-to-back-to-back with Nina, Sassa, and TJ Monterde! Catch these amazing artists at Robinsons Magnolia on October 27, 2017 @ 5PM with your favorite 96.3 Easy Rock jocks! Plus, there will be a lot of games, fun, and surprises just for you! Don’t you dare miss this one! See you there and don’t miss a Friday night with DJ Samantha, Chloe, Francine, and Nick!